Without any details I can't say what's wrong. Check how Pirate upgrades in Cove are made. Thank you for asking my question. But I cannot find any problem in my mod(because of my bad eyes).So I want to send an e-mail to you.Can you help me? Edited by Macron1 at 17:55, 21 Aug 2013. By the way, I figured out, that it's completely possible to replace frames of DEFs for town screen by external graphic files. This is WOV - you can make transparent PNG with building, and it will be displayed on town screen with all half-transparent shadows and fog also. That was not possible in WOG/ERA. So future is with VCMI - you can make super effects for your town screens specially for VCMI. PS Now displaying this 32Bit PNGs leads to some slow down in animation (maybe because I'm on netbook), but it hopelly will improved. I heard OpenGL acceleration is planned. PPS Maybe there will be some config option to make town screens with resolutions bigger then 800X374 someday (leaving old screens working, of cause). PPPS So no DEF preparing is required at all. You make some empty DEF 800X374 (with only "transparent" color, copy it under names of buildings, and then through personal jsons for all buildings point where town graphics is located. Edited by Warmonger at 07:46, 03 Sep 2013. Still alive! 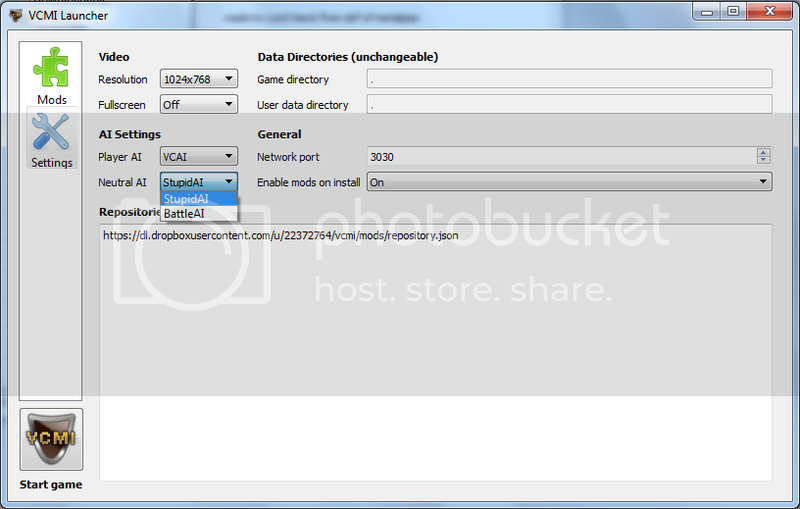 Take a look at our new launcher. Wow, that's really cool. I'm looking forward to this project being complete. It's just what H3 needs. I may have asked this question before, but it wasn't answered: If I play VCMI at 1920x1080, will it look like the HD Mod - that is, with everything looking tiny? Alternative is to use resolution with same aspect ratio (for example 1366x768). This will give you bigger objects but image will appear a bit blurry. No win/win solution here unfortunately - it is either blur or small objects. By the way, does someone has some pack of random generated maps with choice of faction (for new towns) working in VCMI? The other alternative is to have higher-detail objects at higher resolutions. But that would require higher-detail sprites, and I don't think anyone wants to redo all the sprites in H3 and WoG. Edited by Macron1 at 07:01, 04 Sep 2013. Don't think this is possible at all. It's too much work, more, than 3DO done itself. I think, altrough, it is possible to add support for HD town screen resolution (800X374 to 1280x720, for example. But many players don't have such resolution on PCs/Notebooks yet. PS I tested mod system in VCMI in direction of replacing standard town (in my case Conflux) by some new town. Mod system allows to do so, standard faction can be changed to new town screen, also creatures and heroes can be changed to new, only name identifiers must be kept old. many players don't have such resolution on PCs/Notebooks yet. See here. Almost 33% of Steam users have 1920x1080 resolution. The majority have something above 1280x720. ^It only means that 67% do not have full HD. Including me, recently needed to switch back to tiny monitor. Yes, but a lot of games have graphics that support different resolutions. 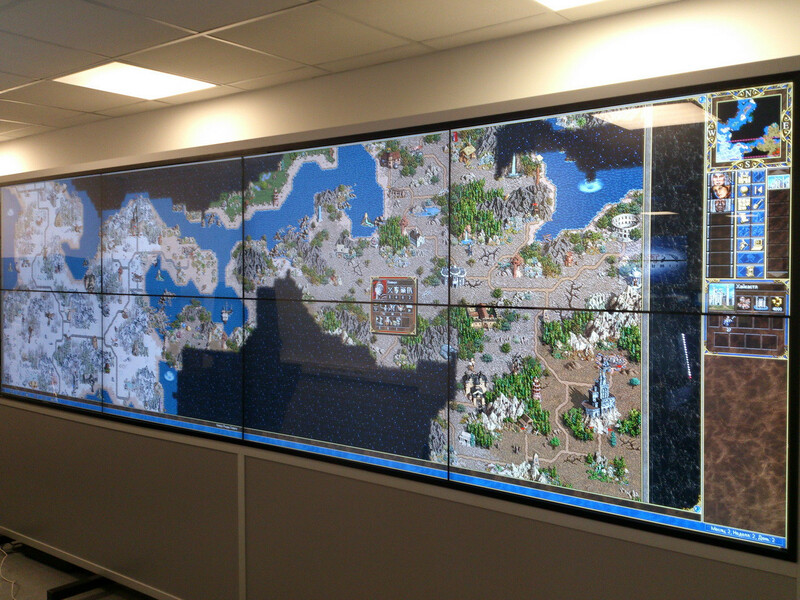 For example, if you play Civ, things don't become tiny when you increase the resolution. But Heroes of Might and Magic 3 does NOT have graphics that support higher resolutions. These are bitmaps about 14 years old, come on. There is a solution to your problem, Mvass. 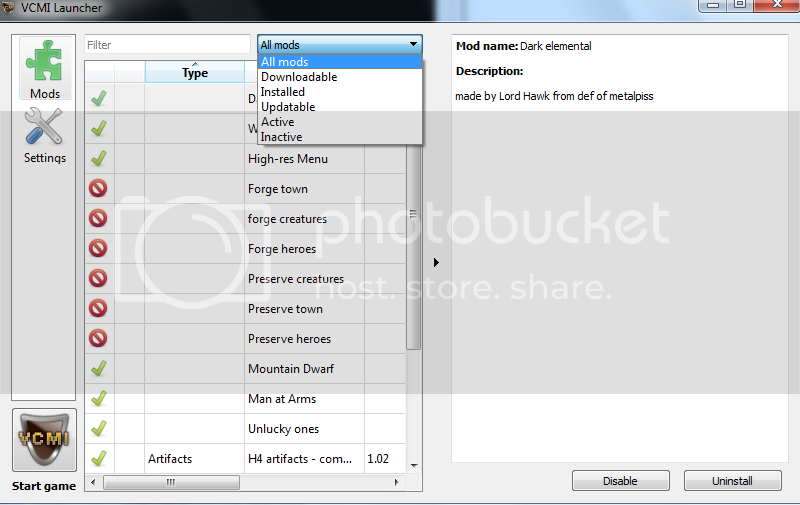 Check new mod manager, improved mod system and combat as well as dozens of bugfixes. Edited by Warmonger at 07:37, 13 Sep 2013. Your link just sends me to the HC front page. Edited by hippox89 at 10:36, 13 Sep 2013. Well, if you have a native resolution monitor of something smaller than 1920x1080, it'll still look sharp, of course, just smaller. It isn't the res in itself that's causing a more blurry image, but a downscaling of the native vertical resolution. You can actually decrease the horizontal resolution without blurring the image, rarely useful, though.